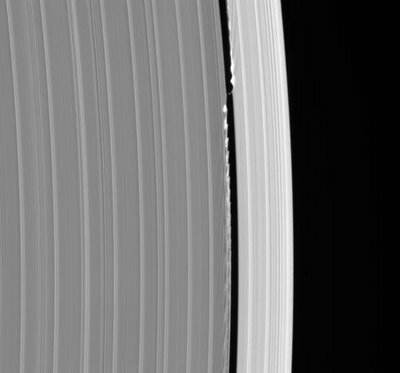 Daphnis stirring things up in the Keeler Gap of Saturn’s rings. Cute, eh? That moon is about four miles across. Check out some of the latest images on my site of this little fella….we’re getting nice shadow relief these days too!